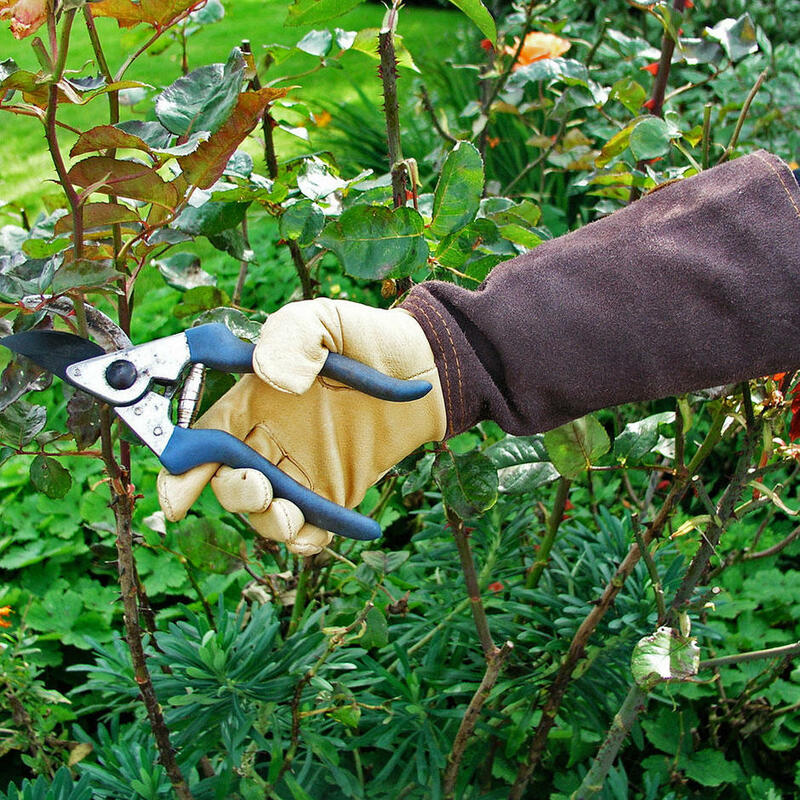 Serious pruning gloves with long gauntlets to stretch right to the elbow. 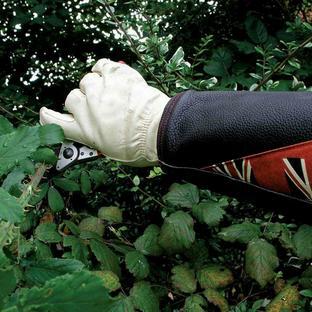 Never again will you have scratched, cut and bruised arms.These are serious pruning gloves with long gauntlets to stretch right to the elbow. 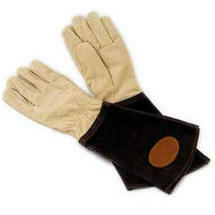 Leather with long protective suede cuffs in gorgeous chocolate brown with leather gloves. 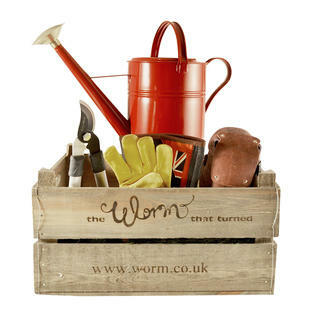 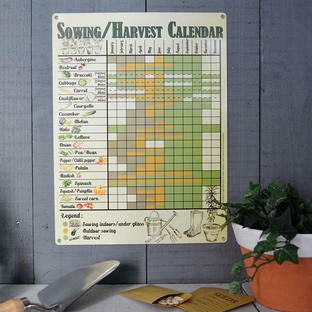 Handmade by craftsmen in Shropshire, using traditional methods and only the finest materials.